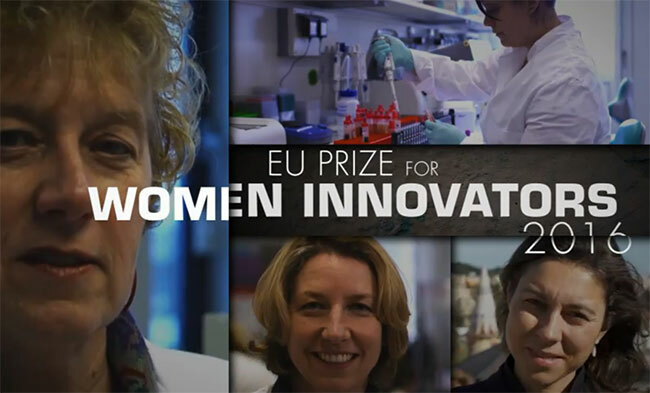 The European Commission has launched the 3rd edition of the EU Prize for Women Innovators. The EU Prize for Women Innovators was created in 2011 a Prize for Women Innovators to increase public awareness and to encourage women to exploit the commercial and business opportunities offered by their research projects and become entrepreneurs. The contest will target women who have benefited from EU research and innovation programmes and who have combined their scientific excellence with an aptitude for business in setting up innovative enterprises. Third place – EUR 30,000. The contestant must be a woman. The contestant must be an ordinary resident in an EU Member State or a country associated to Horizon 2020. The contestant must be the founder or co-founder of an existing and active company. The company was registered before January 1, 2013. The annual turnover of the company was at least EUR 0.10 million in 2013 or 2014. Either the contestant as a natural person or the company founded/co-founded by the candidate have received or is receiving funding from Horizon 2020, the European Research Framework Programmes, the EURATOM Framework Programme, the Competitiveness and Innovation Framework Programme (CIP) or actions relating to research and innovation under the European Structural and Investment Funds (prior to 2014 known as the Structural Funds). Download and read application guide. Apply online before 12:00 am (Brussels time). An independent panel of judges from business and academia will examine and select the winners who will be announced in Spring 2016. Send email to [email protected] for inquiries. For more information, read the Rules of Contest or visit EU Prize for Women Innovators.